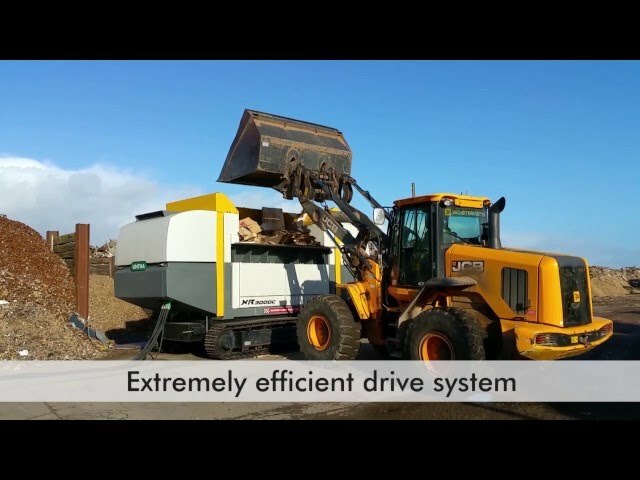 The new XR3000 mobil-e is a revolutionary machine concept in mobile waste shredding. It capitalises on many benefits of an electromechanical drive without having to forego the advantages of a mobile machine. This gives you maximum efficiency and flexibility. Just like the world-renowned static XR shredder, the XR mobil-e is also equipped with an energy-efficient UNTHA Eco Drive. This ensures that your operating costs are minimised and that throughput rate and material quality are maximised. The key feature: Unlike traditional energy-guzzling, noisy mobile machines that are harmful to the environment, the XR mobil-e is equipped with a cost-saving, eco-friendly drive. Thus, your employees and your neighbours as well as the environment benefit from this feature in addition to the economic advantages that it brings. Mobility is ensured through a reliable crawler-type undercarriage in combination with a small petrol-powered engine. The XR mobil-e can be easily moved to any spot via remote control. 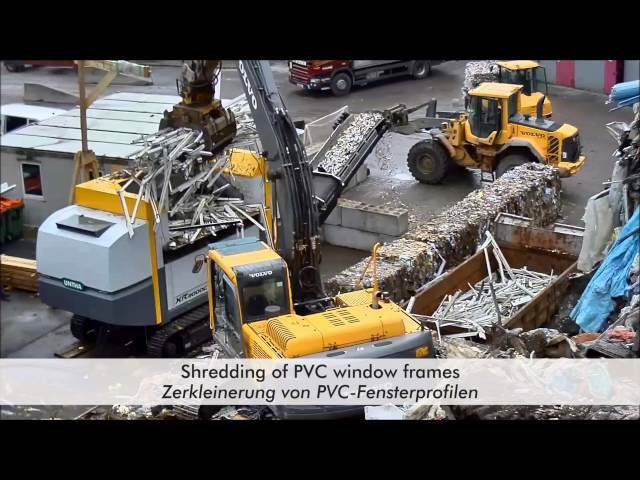 With an extensive range of interchangeable screens and cutters, the shredder can be configured according to the customer’s output specification. For example, a consistent 30mm particle or a 400mm particle size are both achievable, as is anything in between. 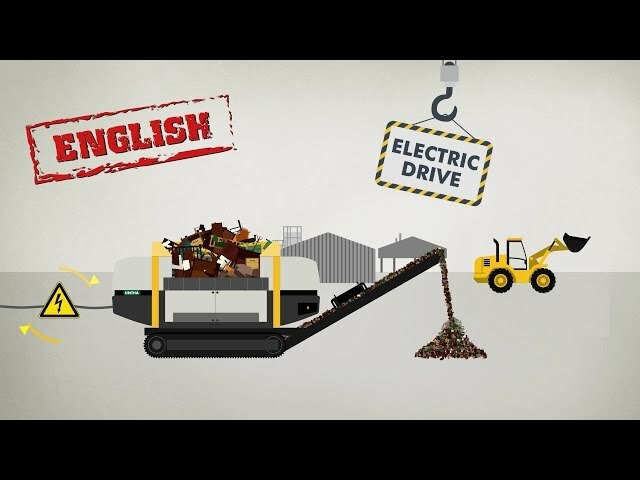 This means the XR mobil-e can shred bulky, MSW, C&I, C&D or wood waste with ease, to produce a homogenous alternative fuel for the waste to energy, cement, gasification or biomass markets. In addition, a height-adjustable discharge conveyor belt and an optionally available magnetic separator give you everything you need for an efficiently operating mobile shredding system. Relocate this shredder to different indoor and outdoor locations around a site and simply re-connect it to the power supply with the quick fastener! The "Ripper" cutting concept is a "ripping system" for coarse shredding of material sizes ranging from 400 mm to 100 mm. The exact material size is defined by screen bars or a perforated screen. The teeth of the ripper can be used 2 times and can be welded onto the outside of the machine after their service life has expired. Thanks to the welded on Hardox plates the rotor is protected against wear and therefore has a very long service life. The "Cutter" cutting concept is a "cutting system" for material sizes ranging from 130 mm to 50 mm. The exact material size is defined by a perforated screen. An internal pusher shoves the material against the rotor with the cutting inserts which can be used 4 times. Thanks to the welded on Hardox plates the rotor is protected against wear and therefore has a very long service life. Our cutting system is equipped with cutters, thus allowing for output material sizes of 80 to 30 mm.The exact material size is defined by a perforated screen. An internal pusher shoves the material against the rotor with the cutting inserts which can be used 4 times. Thanks to the welded on Hardox plates the rotor is protected against wear and therefore has a very long service life. Do you want to see the XR's capacity and efficiency first hand? No problem. We bring the shredding machine to you and you can test it out to your heart's content. We offer different hopper shapes that are exactly adapted to your infeed type. Regardless of whether you need a hopper for a wheel bearing infeed or a hopper with a grabber infeed – we will always have a suitable solution available. In terms of separating metallic iron-containing parts from the shredded material we collaborate with leading manufacturers in the separation technology field. The overbelt magnet is installed above the discharge conveyor belt and reliably separates the iron-containing parts from the output material. The adjustable main cutting bar offers you the option to adjust the cutting opening. 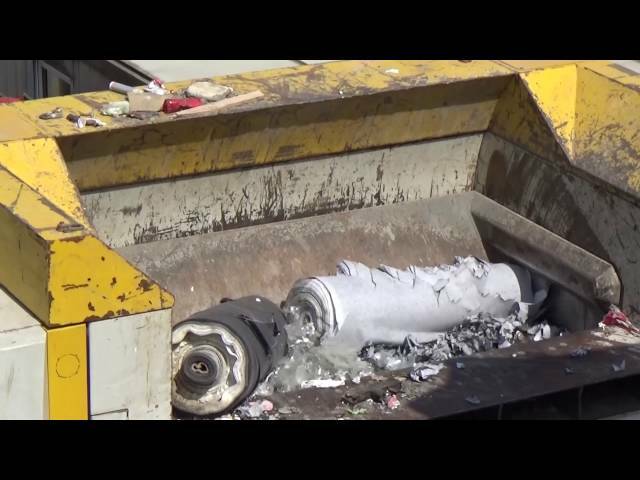 The shredder can be optimally adjusted for the material to be shredded and the required discharge fraction. This option is only available for the &quot;cutter system&quot;..